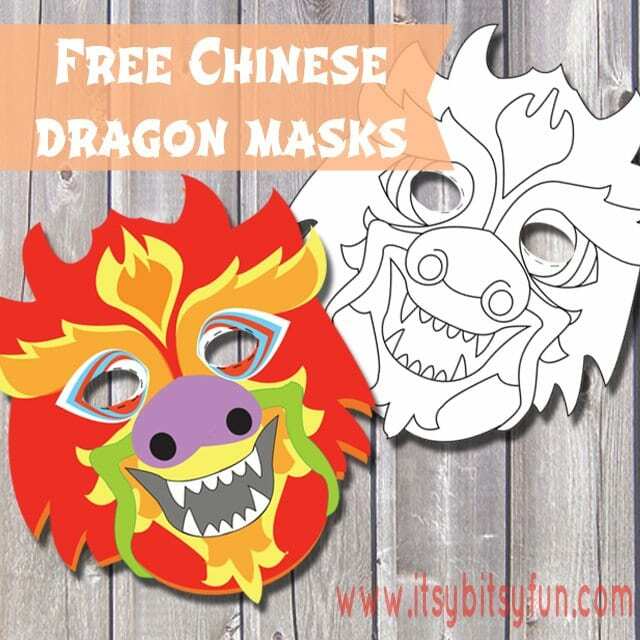 This free printable Chinese dragon mask or mask to color is perfect for celebrating Chinese new year! There’s also absolutely nothing wrong with playing with this one on any other day! Dragons are my favourite mythical creatures and although I do love the classic one a bit more there’s just something about the Chinese dragon isn’t it? They come in all kinds of colors, my favourite ones are the ones that are red and golden so I’ve made one mask in this color scheme, the other one is a a blank template so your kids can let their imagination run wild and color their dragon in any color they like, I’ve seen quite a few marvellous creations come out of this template. When they are done coloring all you have to do is punch one hole on each side and use some elastic string. Just Download the Chinese Dragon mask PDF & Print it! I recommend you print these masks on a harder paper or if you have a laminator at hand laminate them as that way they will withstand rough child play.